The Carousel Lounge (known as "your friendly neighborhood dive bar") was originally housed in a downtown Anchorage building in 1957. In 1967, it moved to its current location in Spenard. And this spring it was remodeled and reopened, after being closed for two years. The details in this bar represent its past, present, and movement into the future. There are historical photos of Spenard on the wall, including one of the original downtown location. 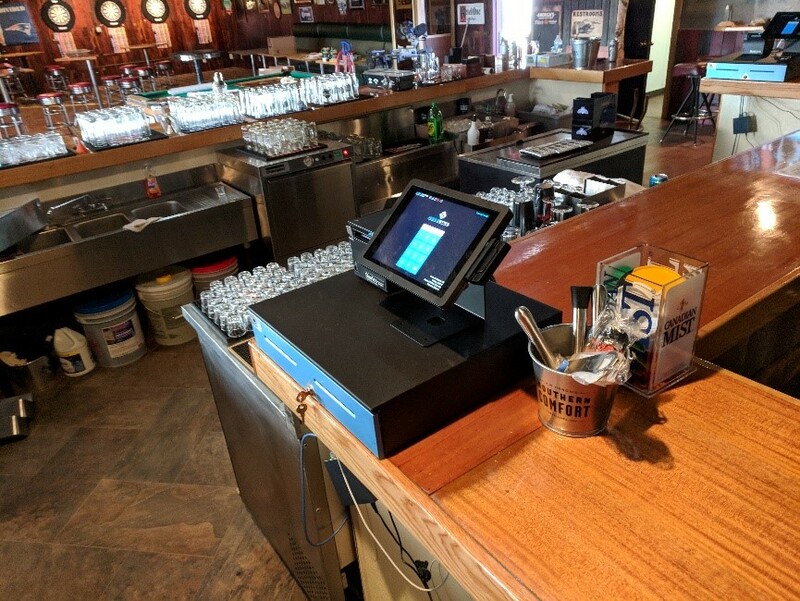 The Carousel needed something simple and easy to use for their bar, and the MobileBytes Point of Sale System was their solution. Jeff and Jesse teamed up on this MobileBytes install - there are two point of sale workstations located in the bar, and the online portal makes it perfect for easy administration and programming. Check out their Facebook page, and you will quickly see that The Carousel Lounge is a happening place in Spenard - a great venue for music, entertainment and dancing.